I have a box of LEGO from when my husband was younger and I have been going through and putting them in their sets for my son. I have now run out of the instruction books and still have some sets left. Can anyone identify what set these pieces pictures may have come from? It seems like his sets are all from the 90’s. These came from a number of sets, including a handy "Decorated Elements" set that covered most of the printed parts from the mid-90s space theme. 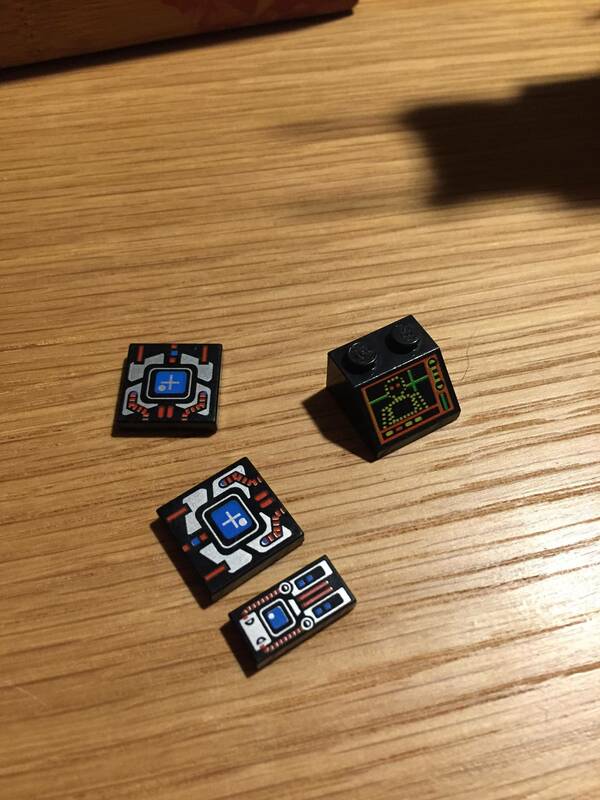 However, Recon Robot appears to be the only one that contains two of the 2x2 tiles and only one of the 2x1 tiles. Instructions can be found in a number of places, including on Let's Build It Again. Where did these small tan bricks come from? Which set is this slope with holes from?